We are proud to launch our Value for Money (VFM) Annual Assurance Statement 2016/17. Providing VFM is an essential part of everything we do, whether it’s recruiting the right people, delivering better services, getting the best deals from suppliers or working jointly with partners and groups. Our VFM Assurance Statement shows how VFM is embedded into our business, to ensure we deliver our agreed priorities in the most cost effective way. Over the past 12 months we have achieved a lot and enjoyed successes including winning a number of prestigious awards, Cash Wise was re-accredited by Business in the Community and reached its 2,000th participant and we were also reaccredited by Tpas (tenant engagement experts) for the fourth time. As well as outlining the efficiencies we have generated as an organisation, our VFM Assurance Statement shows the Social Return on Investment of our activities and the impact these have on our customers and other stakeholders. We set ourselves ambitious targets every year to maximise VFM in everything we do. 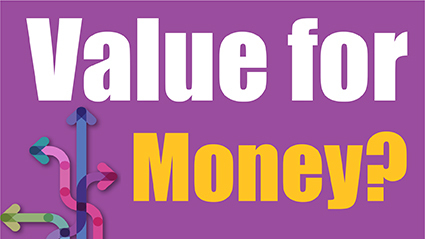 You can have your say on what value for money means to you through our VFM feedback form.